Are you unable to complete and file your federal individual tax return by the April 18 deadline? 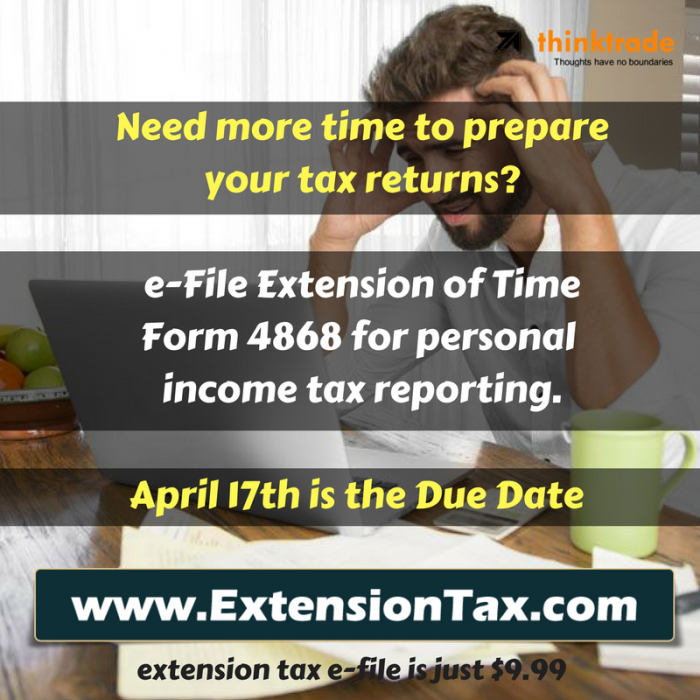 If so, you can request an extension of time to file, which will automatically give you until Oct. 17, 2011, to submit your tax return to the Internal Revenue Service. Now Extension request can be made online through www.tax4868.com / www.ExtensionTax.com. Efile, It’s as Easy as 1-2-3. An extension gives you an additional six months to file your tax return. But keep in mind that an extension of time to file is not an extension of time to pay. All outstanding balances are due on April 18, 2011. The IRS expects to receive approximately 10 million extension requests in 2011, which is about the same as last year. 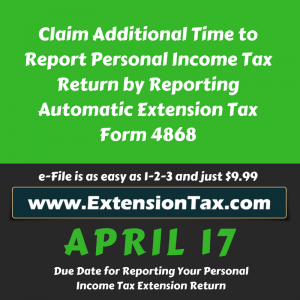 In order to get an extension, you need to file Form 4868 with the IRS through www.tax4868.com /www.ExtensionTax.com. Paid prepares can also electronically file Form 4868 through our service. All it takes is just minutes to complete and get easy 6-months extension. 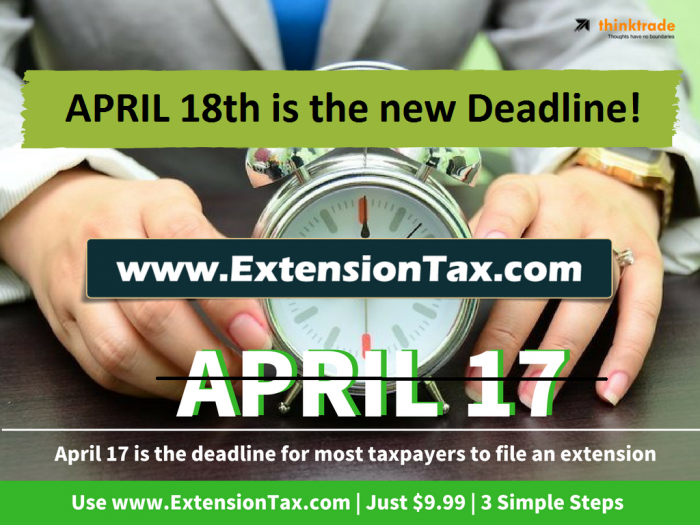 When you request an extension, you need to estimate your tax liability and pay any balance due by the April 18 deadline. If you are unable to pay the total balance due, you should pay as much as possible and apply for an installment agreement. This entry was posted in efiling, Extension Tax, Form 4868, IRS Updates and tagged e-file extension, efile, Efile Extension, Form 4868, Income tax Extension, tax 4868, US individual tax Extension on April 14, 2011 by TaxExpert.